RGF® was incorporated in 1985 for the purpose of designing, engineering & manufacturing total turnkey environmental systems to provide the world with the safest air, water and food without the use of chemicals. We at RGF® strive to make the world a safer, cleaner and better place to live for us, our children and the next generation. Most people spend over 90% of their time indoors breathing air that may be contaminated from a variety of sources such as pets, cooking odors, smoke, dust, viruses, bacteria, VOCs, mold and mildew, allergens and cleaners. RGF is committed to improving the quality of your indoor air environment and offers a full range of innovative award winning patented chemical-free air purification solutions for your home, office or building. Food safety is a national concern with 48 million Americans becoming ill from eating contaminated foods annually. 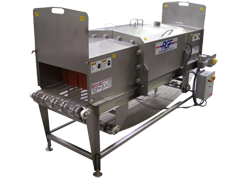 RGF® has over the last 20 years installed the patented PHI-Cell® treatment technology in numerous meat, dairy, fruit and vegetable processors. Considered a breakthrough in overall food safety programs, the validated PHI technology, can provide non-chemical, anti-microbial treatment, and protect products from human error or other cross contamination events, which may have occurred during processing. Considered the pioneer in innovative packaged treatment plants, RGF ® has been a leader in patented Industrial Environmental Technology. RGF’s line of Industrial Water Treatment systems offer solutions to a variety of industries and markets. RGF’s extensive range of pre-engineered industrial water treatment systems provide a robust, reliable solution for modern industrial and commercial liquid waste streams. 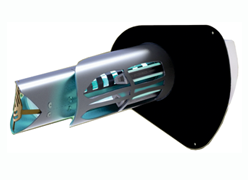 Since 1985, RGF has maintained a steady flow of award winning, innovative pollution solutions. RGF has been awarded national recognition as a recipient of the Inc./ MCI Customer Service Award. Industrial water recycling has been the main mission of RGF’s water division since its inception in 1985. RGF is now a recognized industry leader with thousands of wash water recycle systems installed worldwide. 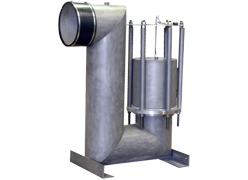 Our commitment to producing high quality oil water separators spans over 40 years. RGF ® and AFL Industries®, a division of RGF®, design and manufacture reliable corrosion resistant oil water separators and related accessories. Our corrosion resistant separators, oil stop valves, safety sumps and rotary pipe oil skimmers are used by virtually every large industrial, utility and transportation company in the U.S.A. and many military bases around the world. RGF’s Environmental Programs are designed to save money while improving a resort’s image utilizing over 50 environmentally friendly systems, including water treatment, air purification and odor control, sewage reclaim and food sanitation systems. Due to the sensitivity of the marine environment, RGF® has developed its Marine Envision Program to incorporate Air Quality, Wastewater Treatment, Fuel Treatment, Ventilation and Food Safety systems. 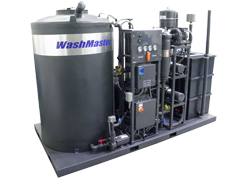 The Marine Envision Program combines RGF’s PHI-Cell®, REME HALO®, Advanced Oxidation and Wastewater Treatment technologies into a one-of-a-kind environmental “How To” for the marine and boating industry. From the course to the clubhouse, it’s easy to find RGF technologies. RGF was the first innovator in the turf maintenance wash rack reclaim industry. Thirty years later not only is the wash water being treated and recycled with RGF’s advanced Bio systems, but members can feel safe in the clubhouse with RGF’s indoor air quality and food safety programs for treating the air and food in the clubhouse. ENVIROVISION is a comprehensive plan for facilities to integrate RGF’s renowned patented Environmental Technologies (air, water and food safety) resulting in a better workplace and positive public relations and media event. Our engineers continuously develop improvements and new innovative programs and products.